Established in 1989, The Cappuccino Connection is widely considered the premiere espresso catering company in the Events Industry. We are exclusively designed for both elegance of presentation and efficiency of service for your most intimate to largest grandscale social, corporate and celebrity occasions. We are widely recommended by the top hotels, event planners, caterers, country clubs and corporate clients throughout Southern California. Insurance: $1,000,000 - Insurance services provided by NFP Property & Casualty Services, Inc. (NFP P&C), a subsidiary of NFP Corp.
With the Cappuccino Connection you can expect a much higher level of expansive elegance than with the smaller carts and simple table top formats. We are a boutique espresso catering company that is fully committed to the total artistry of each occasion. Our range of travel for each event is Newport Beach, Orange County, Los Angeles, Santa Barbara and San Luis Obispo heading north. It is good to note that we are uniquely formatted to serve all your guests as rapidly as they order and exclusively designed for the largest functions of several hundred to several thousand guests as well. Our range of events includes: Weddings, Corporations, Celebrity Venues, Bar/Bat Mitzvahs, Fund Raisers, Proms, Grad Nites and College/University department and student socials. We have a fine working relationship with the many hotels, country clubs and private venues throughout Southern California. We are widely recommended by the caterers and event planners as well. Our commitment is always to the full duration of an event with unlimited servings of all beverages on our menu. With our expansive menu of hot and iced blended beverages, we are popular with your guests all year round. 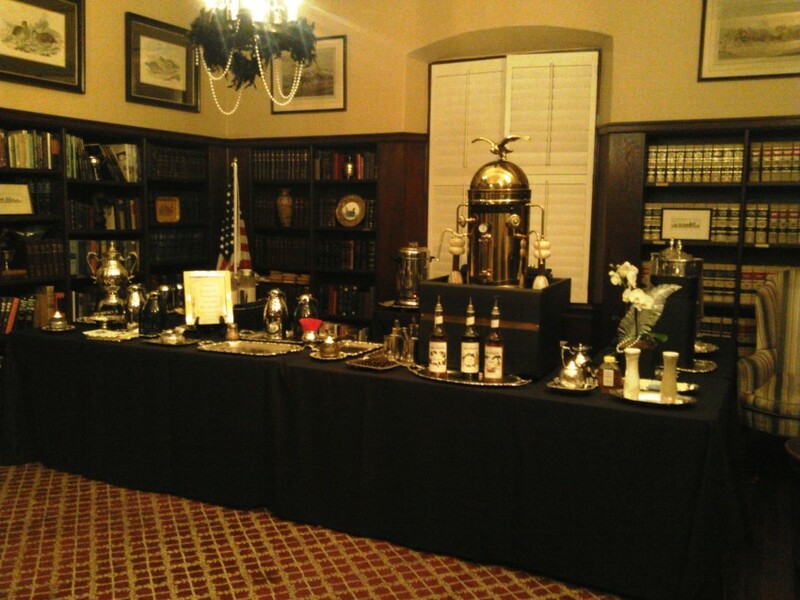 Hip and trending, at each event the guests themselves are quick to appreciate the presence of our espresso bar. For many, we serve as a great moderating alternative to alcohol. For the kids, we make the best hot chocolate in the entire world... we bet our reputation on that! During the warmer months, our iced blended selection are as popular as our hot espresso drinks all year round. Of all life's connections, few are as sweet as a cappuccino connection. We look forward to serving you! 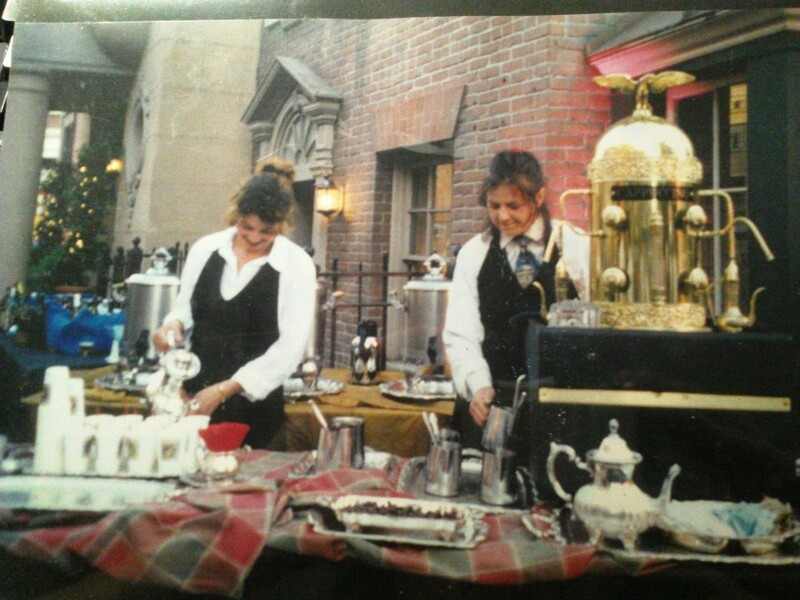 The Cappuccino Connection had its organic beginnings in the late 1980's as a beverage concession during intermissions at the Lobero Theater in downtown Santa Barbara. "Can you also bring this service to our wedding?" "Sure". "How about the upcoming Italian Festival?" "Okay." "We are having a large fundraiser and we would love to have you there!" "I'm available." And that's how it all began! From that point forward, we joined the Santa Barbara Event Professionals and other professional groups in Los Angeles and Orange County. To date, we have served at literally thousands of extraordinary venues and events including the Emmys, Golden Globes and Academy Awards. What will make it all complete, is the opportunity to now serve you! On a personal note, my name is Ken Cohen. I write children's books: Imagine That! - A Child's Guide To Yoga and Songs of the Sandman (both available at Lucky Penny Press). I've trained in Yoga, Zen, Martial Arts and T'ai Chi and have coordinated high level wellness treks into the California Mountains. I am currently working on a wonder/discovery learning series of picture books for children's film animation. I started the Cappuccino Connection to create a viable alternative and safe driving option to the stand bar. In the mornings I go down to the beach to do my workout and meditation routine, while my white chihuahua with one brown eye and the other blue roams about in search of whatever sights, sounds and smells white chihuahuas go searching for. As early "influencers" within the events industry, our intention from the onset was and remains to provide the highest level of espresso catering for all to enjoy. 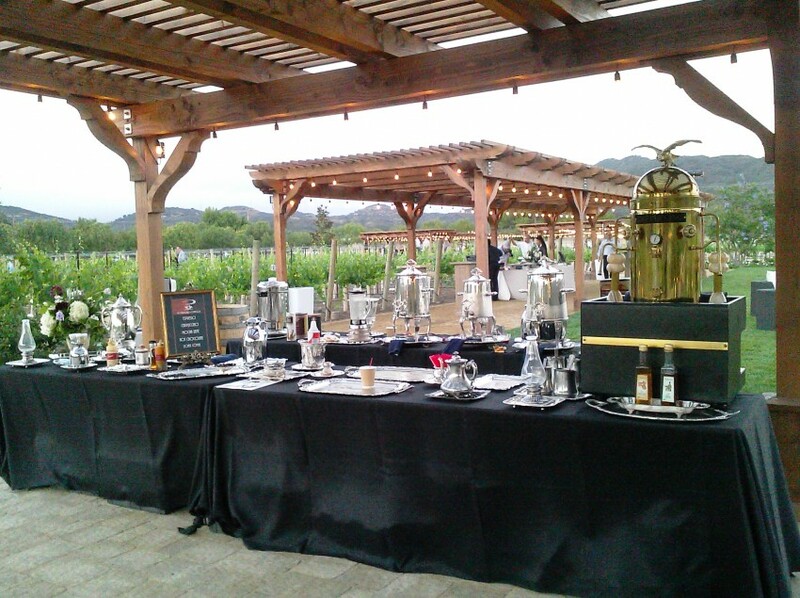 Though alcohol remains the primary influence at most social and corporate events, it is good to note that so many of your guests appreciate the self moderating influence of our espresso beverage bar. To influence safe drinking driving while providing so many popular hot and iced blended beverages for all to enjoy is the influence we ourselves relish the most. We look forward to being of service to you!